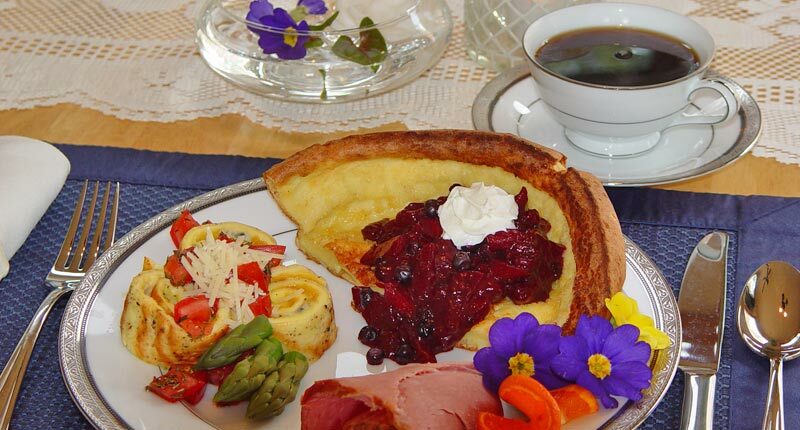 Breakfast each morning will bring a delightful beginning to your day. 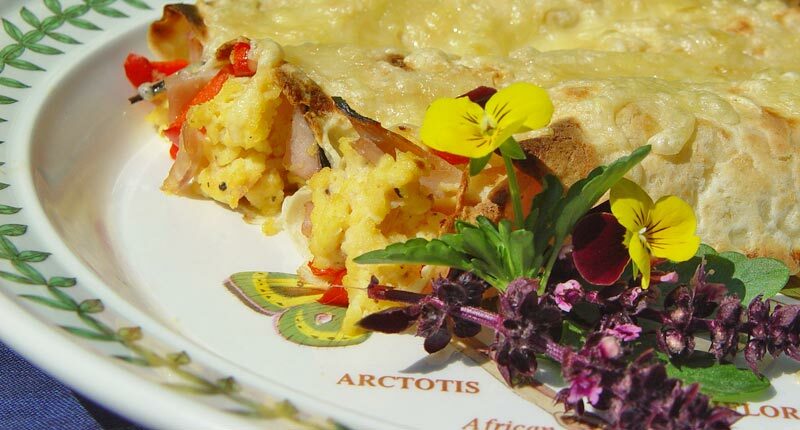 We feature unique Missoula Bed and Breakfast dishes such as delicate Swedish pancakes or huckleberry sourdoughs, individual tomato-herb souffles, elegant crab crepes, or even a hearty Montana breakfast of tender steak and fresh eggs. 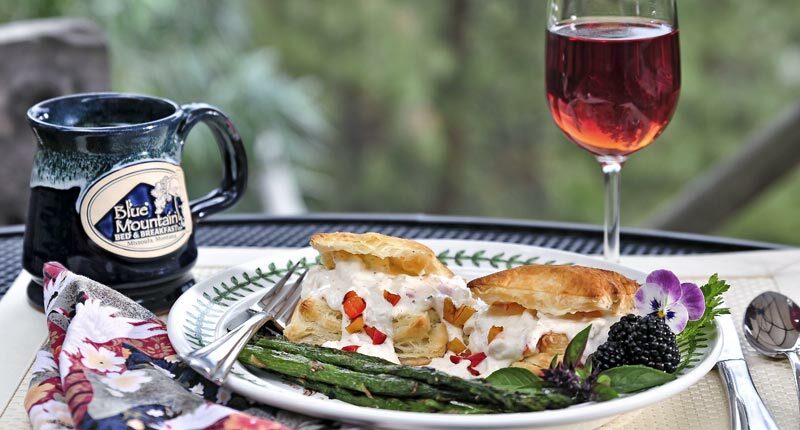 Accompaniments may include our Blue Mountain blueberry scones, homemade cinnamon rolls, roasted red potatoes with garden vegetables, asparagus gratin or maybe golden fried polenta served with warm maple syrup. 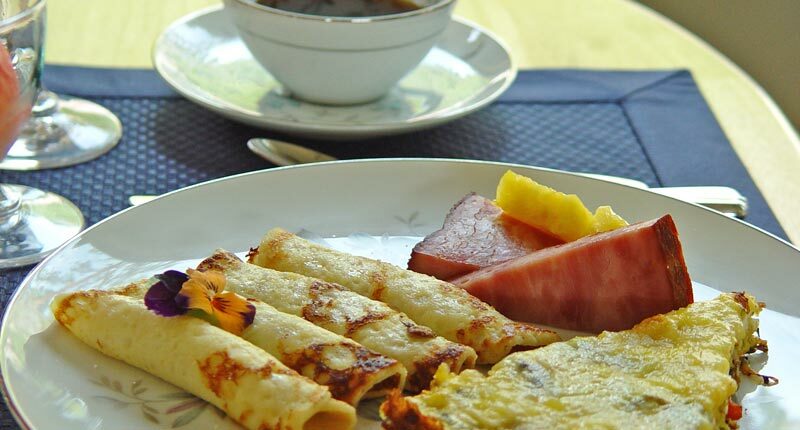 We offer home made preserves, fresh fruit, juice, tea, coffee or cocoa to complete your meal. 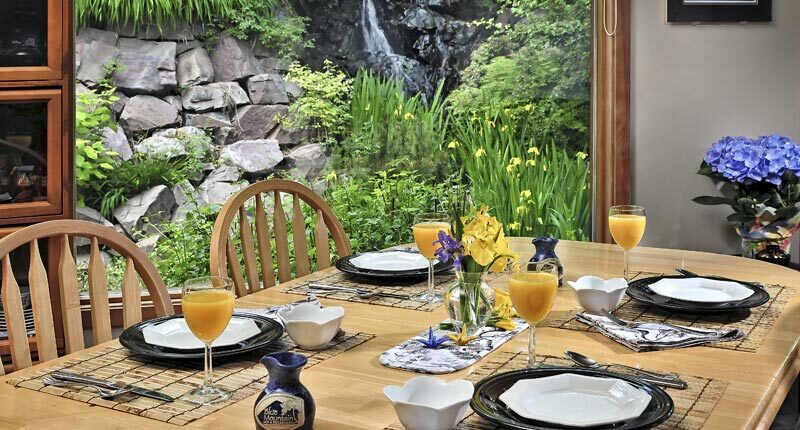 Enjoy breakfast in the dining room or from a variety of garden decks; the views of our waterfall and pond, wild birds and mountains will make an already delightful meal truly memorable! 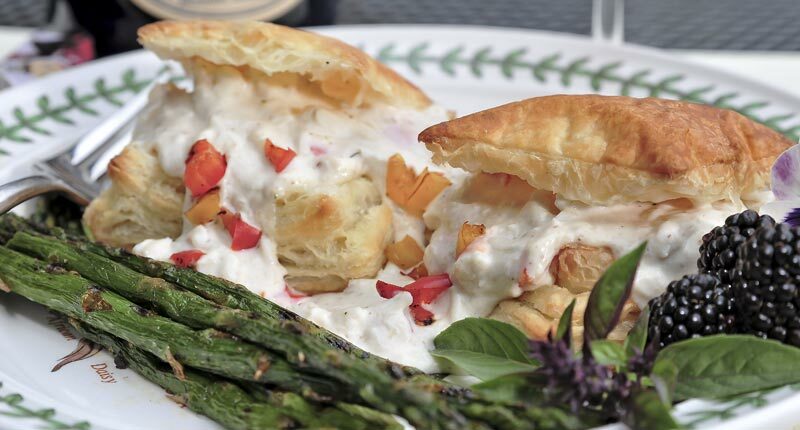 Dinner: (four or more guests): This is a very special dining experience, served and prepared in our dining room or outside by the falls, weather permitting. 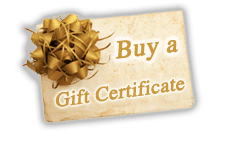 An exquisite multi-course Indian, Moroccan, Medieval, Scandinavian or traditional Christmas or Thanksgiving feast that includes a variety of main courses and side dishes. $75 per person. We include a selection of non-alcoholic beverages with dinners. If you wish to bring your own alcohol, we will gladly provide the glassware. If you are interested in dinner, call us or let us know in the special request section of our reservation page. 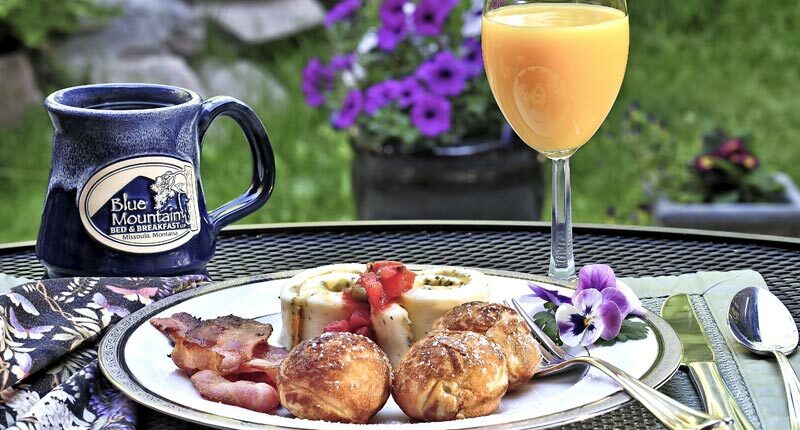 Below are some brief descriptions of some of our Missoula Bed and Breakfast highlights. 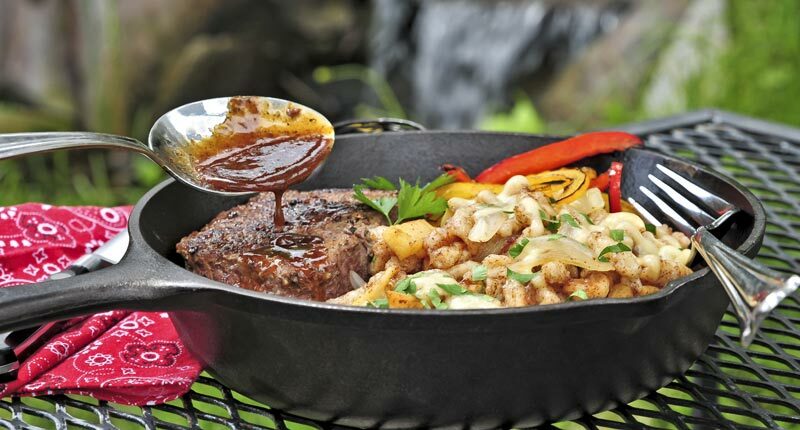 Additional details can be viewed on our Seasonal Specials page as well as our Photo gallery: Seasons and Seasonings” page. You can always make ethnic dinner requests! WINTER– offers the perfect time to curl up with a good book, watch a movie, listen to the old player piano or take a walk in the snow. 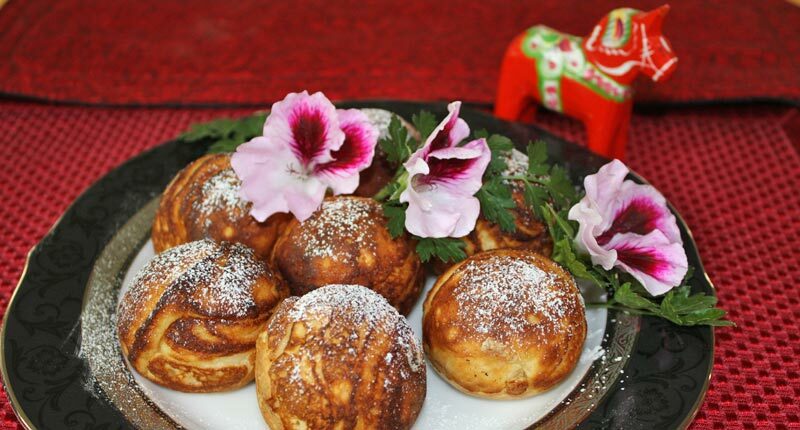 You can make request an evening of fondue, or a multi-course ethnic dinner featuring Italian, Spanish, Chinese, Thai, Indian or other cuisine specialties. You may also wish to celebrate with a Medieval feast, a Swedish smorgasbord, or a more traditional meal of roasted meats and vegetables. On Christmas Eve, we invite you to join our family for an evening of food, song, festivities and fun. 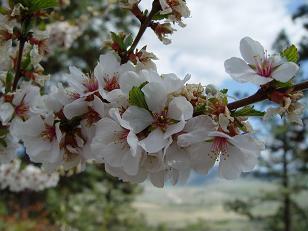 SPRING– is the perfect time of year to just sit on the deck and enjoy the scent of blossoms while savoring traditional Japanese cuisine that can include delicate shrimp tempura, accompanied by a lovely spring rain salad, green tea and other traditional dishes. 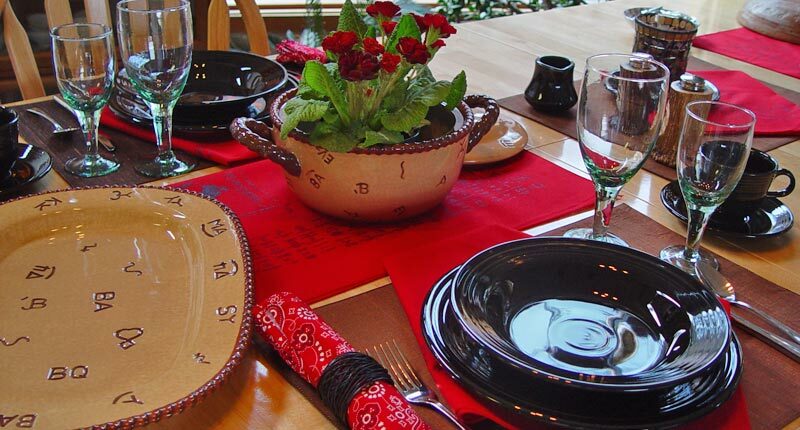 Highlights during the season often include a special Mother’s Day tea and mouth watering Mexican cuisine to celebrate Cinco de Mayo. SUMMER– On July 4th, Fort Missoula is booming with an old fashioned celebration. 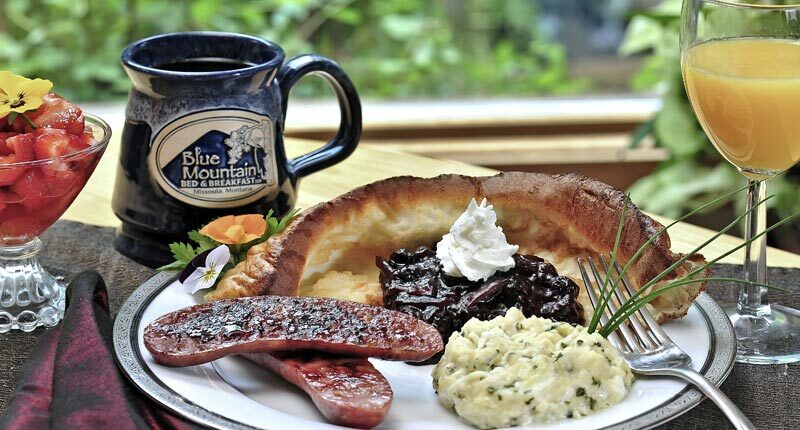 Here on Blue Mountain, you can enjoy a hearty cowboy BBQ with baked beans, fresh garden vegetables, Montana ranch-raised beef and home-made pie. We would invite you to also sit down to a multi-course Moroccan dinner near our waterfall and lily pond where we will treat you to exotically spiced dishes and a truly unforgettable experience! 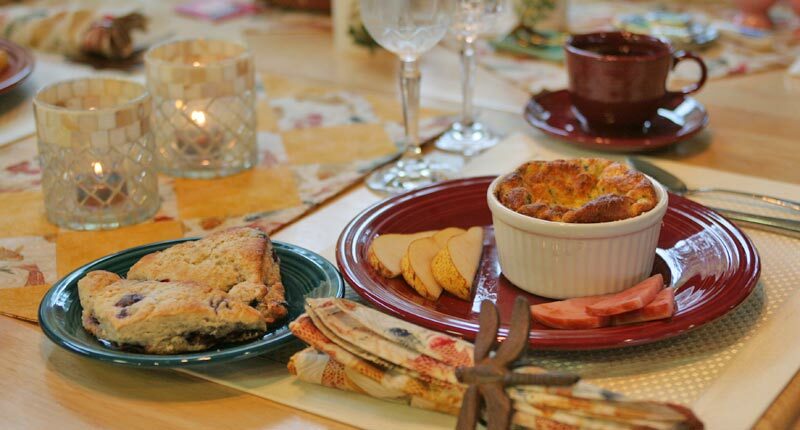 FALL– we welcome you to join us for a Murder Mystery dinner set in the old West or a Thanksgiving feast that includes a few dishes from our Lewis and Clark Expedition cookbook. Reservations need to be made 3 weeks in advance please. We look forward to sharing our passion for food with you, and ask that you make reservations well in advance for multi-course ethnic or mystery dinner experiences. Be sure to visit our Photo Album Seasons and Seasonings page as well as our Seasonal Specials pages. In all of our travels through America and beyond, we’ve seldom found a place that gets everything so perfectly right. 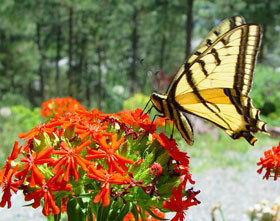 Part of Blue Mountain B&B’s charm and appeal comes from the lovely, mountain setting itself. Most of what you have to offer, however, is a product of your thoughtfullness, hard work and many talents. We appreciated our stay so very much and hope to return some day.